Genesis 16:11-12] The angel of the LORD said unto her [Hagar], Behold, thou art with child, and shalt bear a son, and shalt call his name Ishmael … he will be a wild man; his hand will be against every man, and every man’s hand against him. 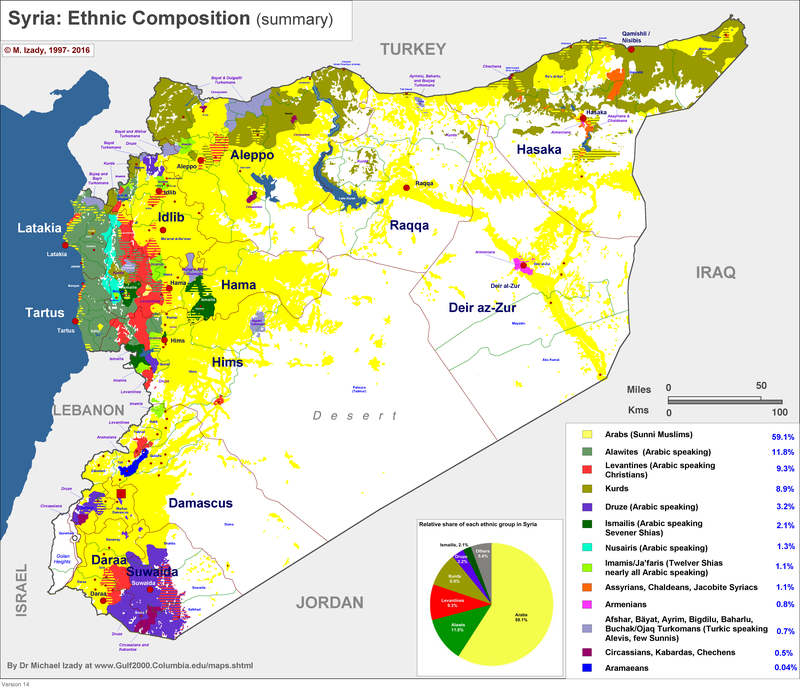 All four of these geopolitical cornerstones of Islam struggle for control over the central killing fields straddling the Euphrates, where oil and natural gas resources and control of pipeline transit zones is essential to their power and prestige. These energy resources in turn control the macroeconomic and foreign policy of the USA, British Commonwealth, EU, Russia, India, and China. If system collapse and mutual annihilation occurs, who wins? This is referred to in the Holy Bible as the Armageddon. The sixth and second last Angel of the Biblical Apocalypse is about to sound: Get right with God! Revelation 9:13-18] And the sixth angel sounded, and I heard a voice from the four horns of the golden altar which is before God, saying to the sixth angel which had the trumpet, Loose the four angels which are bound in the great river Euphrates. And the four angels were loosed, which were prepared for an hour, and a day, and a month, and a year, for to slay the third part of men. And the number of the army of the horsemen were two hundred thousand thousand [200 million]: and I heard the number of them. And I saw the horses in the vision, and them that sat on them, having breastplates of fire, and of jacinth, and brimstone: and the heads of the horses were as the heads of lions; and out of their mouths issued fire and smoke and brimstone. By these three was the third part of men killed, by the fire, and by the smoke, and by the brimstone, which issued out of their mouths. The Euphrates river is highly important geo-strategically and historically. It begins in Turkey, travels through Sunni dominated north-east Syria, flows through Sunni dominated northern Iraq, and finally empties into the Persian Gulf, but not before travelling though Shia dominated southern Iraq (see below map). 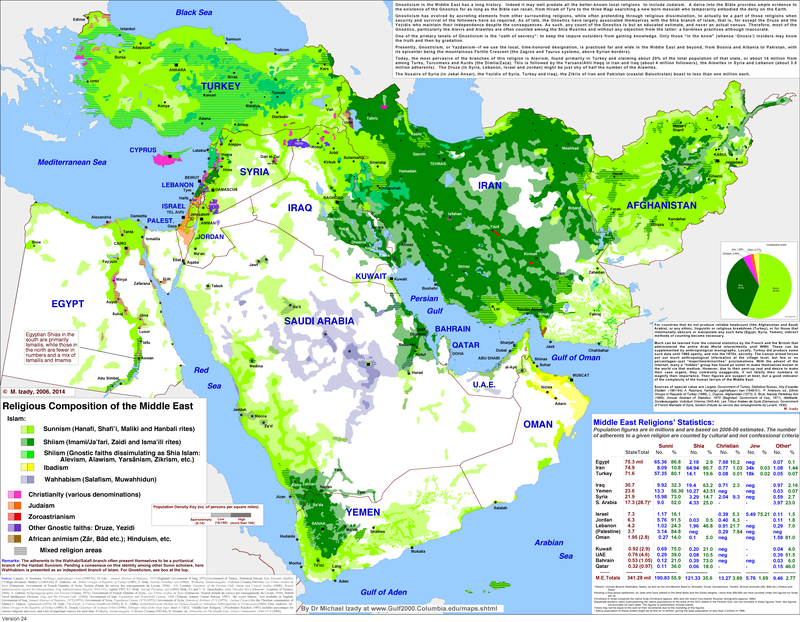 This stark Sunni-Shia divide occurs just north of Karbala, a most Holy City and site in Shia Islam, besides Mecca, Medina, the Holy sanctuary in Jerusalem, and Masjid ‘Alī, in Najaf, 45 miles south of Karbala. in the month of Muharram (Oct 3 – Nov 1 in 2016), Karbala hosts an annual pilgrimage of Shia from across the Islamic world. This pilgrimage rivals those at Mecca, and is the location of the massive twin shrines of ‘Abbās and Husayn, both sons of ‘Alī ibn Abī Tālib. Shia believe ‘Alī to be the legitimate successor of Muhammad rather than Muhammad’s Father-in-law Abu Bakr, who won the Ridda Wars, cementing power in Arabia after Muhammad’s death. This divide stems from the moment Muhammad died, but an event 50 years later wrote it in blood for all time. Two sons of ‘Alī were killed at the Battle of Karbala in 680AD. In combat against Yazid I of the Sunni Umayyad Caliphate – who’s capital was in Damascus – the small band of Husayn became surrounded in Karbala and forcefully separated from the water of the Euphrates, threatening his group with death by dehydration. ‘Alī’s son ‘Abbās was sent on a mission to retrieve water from the Euphrates for the encircled family of Muhammad, but was caught and killed. At the ensuing battle the same day – the Day of Ashura – ‘Alī’s other son Husayn (the Shia Imam) was beheaded together with all but one male by Umar, leader of the Kufan Umayyad army, whom only spared Husayn’s son Zayn. Zayn was the 4th Imam of the Twelver, and 3rd Imam of the Ismaili sects of Shia, providing legitimate blood lineage to Muhammad, which is in opposition to Sunni practice which eschews the importance of lineage. Due to their lineage from Muhammad, modern Sunni’s revere both Husayn and ‘Abbās as Holy Martyrs for Islam, simply considering this event an unfortunate situation where a ruling Caliph (Yazid I) rashly killed an illustrious Imam and his brother. Shia however view this event differently, because it epitomizes the Caliph vs Imam rivalry born from two separate systems of political and religious regime legitimization. As such Karbala provides a rallying point for Shia identity like no other place, making the city and it’s story, a probable flash-point, for manifestation of ideological and physical conflicts. This rift is central to God’s plan for judgement, because it runs deeper than the ethnic and political divisions between the three core – and competing – Sunni civilizations centered on ethnicity: Arabs; Egyptians; and Turks. This deeper divide is fundamentally religious, being the foremost obstacle to uniting world Islam into a unitary Sunni Caliphate or Shia Imamate. 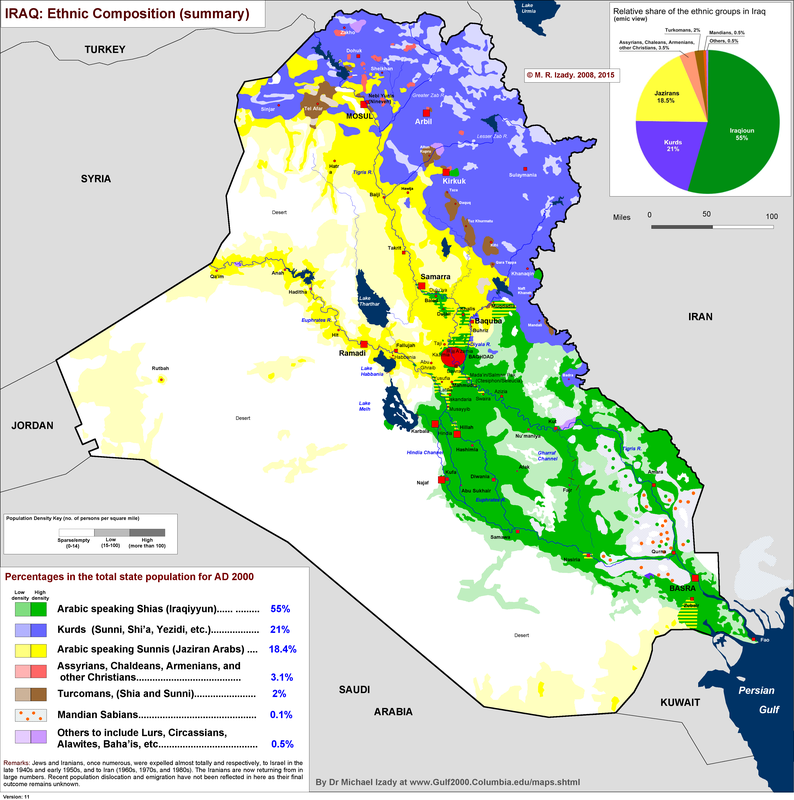 Iran makes intense political use of this divide, bringing the fourth great Islamic ethnicity – Persians – into the mix, maintaining its strong influence in the almost totally Shia oil bearing lands of southern Iraq. This rift condensed only 50 years after the initial Sunni-Shia dispute, but the story importantly involved water from the Euphrates – or lack thereof. Shia poetry emphasizes the importance of the Euphrates river water in this particular narrative, and since the Euphrates has changed course over 1400 years towards the direction of Karbala, Shia’s are heard to proclaim “the Euphrates has come to ‘Abbās now”. This saying alludes to ‘Abbās’ mission to retrieve the water, having been achieved in death rather than life. Karbala is just south-west of the capital city Baghdad (80-85% Shia), and both are just north of the ancient city of Babylon (indicated on the below map). This is Babylonia proper. As ever, this area is key to Judeo-Christian eschatology, because a repeat of the capture of Babylon by the Achaemenid Empire of the Medes and Persians in 539BC – which also freed the Jews from Babylonian captivity – is prophesied in the Book of Revelation to trigger the end-times Armageddon (end of the age). The developing story of the Biblical Ishmael and his progeny, connect up with Judeo-Christian eschatology here: Time is a stream with many tributaries, all of which are joining right now, like a flood! The 4 ‘Angels’ are ethnic and sectarian EGREGORES of these 4 Islamic cornerstone populations! Egregore (also egregor) is an occult concept representing a “thoughtform” or “collective group mind”, an autonomous psychic entity made up of, and influencing, the thoughts of a group of people. Likewise, a collective possession of a national interest, manifesting through State political, economic, social, and leadership systems. Because egregores are primarily conscious at the hierarchical apex – power and Mammon (money) – the Islamic faith tends to manifest around them as a tool of manipulation for dark intent – quite evident in Wahhabism. This intent is diametrically opposed to the politically disinterested and peaceful wishes of many Muslims, though their leaderships cannot resist the urge towards conflict: BABYLON BECKONS! Sectarian map of the Middle-East and the Four Angels bound in the Euphrates. Now we see Russia and China being pulled into Syria and Iraq respectively, with Shia Iran and Sunni Saudi Arabia – and the other Sunni GCC countries – ratcheting up their sectarian feuds, whilst global demand for their oil plummets due to the onset of a global economic depression. Syria is in flames, Turkey is refusing to remove troops from Northern Iraq, whilst Iraq moves closer to Iran, both with fresh new long term Chinese oil contracts. North Sea, Gulf of Mexico, Canadian and U.S. Tight Oil independents and western Big Oil operations, are now being bankrupted, whilst world stock markets implode and currency wars intensify. Egypt and Russia are courting each other, the latter of which is militarily dug into Syria, whilst the former has a history of cooperation – albeit aborted – with Syria, under Nasser’s Pan-Arabism pipedream. On January 21st, 2016, Chinese officials toured Egypt, signing deals for $15 billion in development credit, which Egypt desperately needs right now. China has great interest in good relations with the owners of the Suez Canal – for obvious reasons of secure market access to the EU. Meanwhile, Russia’s economy is collapsing due to EU sanctions on Russian natural gas imports (and other imports), but mostly because of the low oil price, both of which are eating into Russia’s foreign reserves, which will be fully expended by the end of 2016 according to the Russian ministry. Russia is waiting for the call from Iraq – and Iran – to close the military support gap between the Mediterranean and the Zagros, though Iran is being courted by the west to prevent this (which isn’t working). Turkey and Saudi Arabia have had meetings about a strategic alliance, and their ISIS Trojan horse proxies will lose their grip on the Euphrates, unless Turkey and the GCC ‘confront’ them (invade Assad), head-on in Syria, where the Russian bear awaits. Saudi Arabia and Turkey have been furtively suggesting such an invasion for the last few months. Ukraine is on a simmer … NATO is awaiting the right time to pounce on Russia. This post will be extended in a PART II to analyze the Biblical and Eschatological aspects of this developing WWIII. are about to be loosed!